I’ve never been really good and consistent in taking anything other than my vitamins. After working with Vital Proteins last year, I learned more about the benefits of collagen and really wanted to work it more into my routine. This isn’t sponsored in any way, I just actually really like the product. So the benefits are for more youthful skin, stronger hair and nails and can also support joint health. 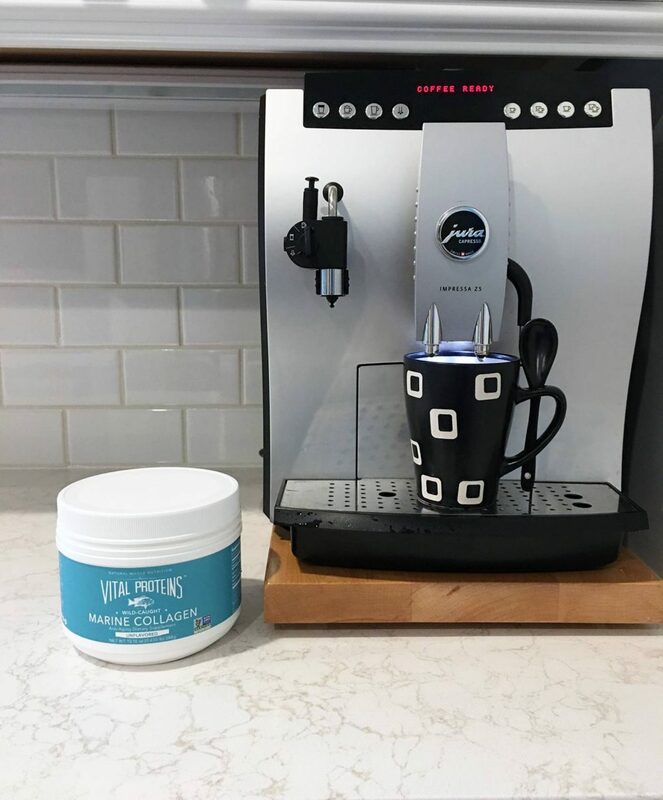 Right now I’m liking taking the Vital Proteins Marine Collagen because it’s SO easy to work into my routine. It dissolves really easily and I put it into my coffee every morning. I actually set the canister out right next to our coffee machine so I won’t forget. Do I plan on keeping it there forever? No, I don’t love stuff out on the counter, but I haven’t missed a day in almost three weeks so it’s working! I have also been taking Isopure Whey Protein as part of my workout routine. This is something Clint got me into and the primary benefit I was looking for was support of my strength workouts and I also feel like it helps me get less sore. I used to think that taking protein would get me “big” if I was doing weights, but that’s definitely not the case. I do feel like it helps with soreness and I hope that long-term it will help me work on those muscles a little bit. I always need more protein in my diet so this is beneficial to me there, as well. I take this unflavored protein in 10 oz. of chocolate almond milk after every workout. I read that taking it within 30 minutes of your workout is best, so I try to do that. I will also add it to a big pot of oatmeal when I make it and count that as a little boost to breakfast. Oh how I love coffee. I love it so much that I found myself drinking well over 20 ounces of coffee before 10 AM. Not. Good. I ended up feeling shaky, my stomach was upset and I felt like I really needed the coffee to function. So I just decided to stop. A lot of that “must have” feeling with my morning coffee was part of the routine. So now, instead, I start my day with a cup of either green or peppermint tea before breakfast. The first week or so of doing this was a little tough but now I’m getting used to it and I feel so much better that it’s really not hard to keep up this change. I have cut down to one 8 oz. cup of coffee per day and I really feel good about this change! In an attempt to be more organized, I’m actually putting my workouts on my calendar. They are color coded and I block off periods of time during each day to do some sort of workout. I try to sign up for any classes a week or so in advance so that I can take a look at my week and see how best to get everything done, while still getting my workouts in. This planning ahead also keeps me thinking about what type of workouts I need to do. Do I need more cardio? A little more barre and toning? Well now I can look at my calendar and schedule in exactly what I feel like I need. Admittedly, post-baby I’ve become very wrapped up in what it says on the scale. When I go to the Y to do my workouts, it’s right there in the locker room, so I found myself hopping on every other day to see if I had made any progress. Now, I’m really doing my best to just check once every couple of weeks or even less frequently and base “results” on how I look and feel. I do still feel like I need to lose weight and I have a number in my head that I want to see on that scale. But I want to try to keep my focus on how my clothes fit and that “look and feel” factor, over that number. I always try to remind myself of some of those before and afters that you see (particularly ones I’ve seen with BBG, although I’m not doing that workout) where the person actually weighs more but looks much more lean and toned. I’ll take lean and toned over here, thanks! You know that whole “look better, feel better” thing? There’s a lot of truth to that and I was getting way too good at throwing on whatever was on top in my drawer, whether it looked good together, matched or not. And usually that was a big ol’ NOT. It’s one thing for me to get looking put together for a photo shoot for the blog, but on an every day basis I was totally going for easy, no matter what that looked like. So I decided to make a change and take just a few extra seconds in the morning to at least match. 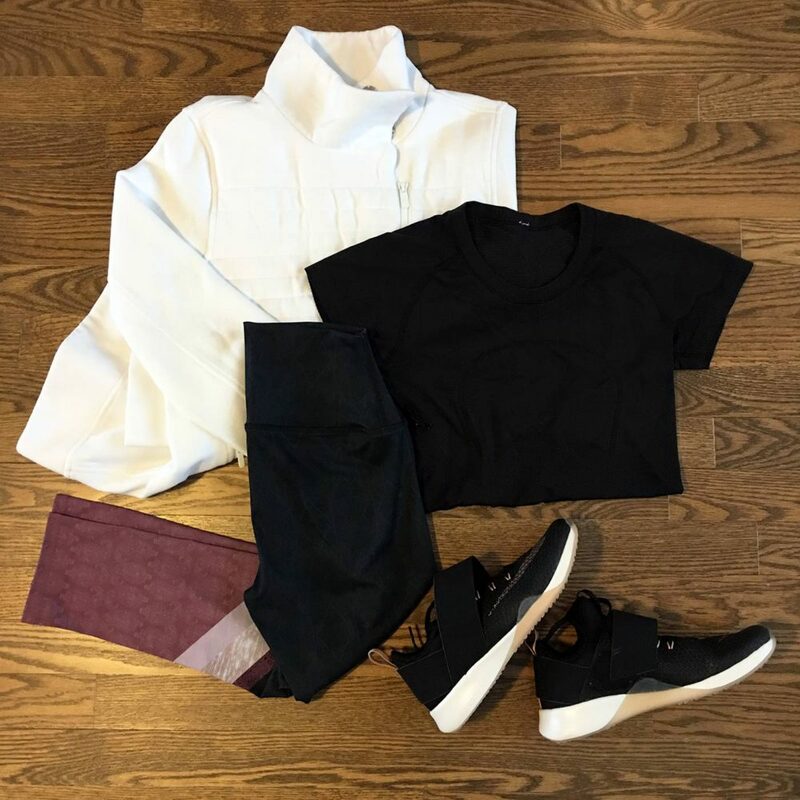 I did buy a few pieces from lululemon (these tees and this jacket) and Nordstrom (these pants), as well as Neiman Marcus (these pants) that I thought would make that easier. I’m a sucker for black, white and gray, so if I can reach for things all in those colors in my drawer, it makes it effortless. With this setup, I know I’ll at least be coordinated and ready to go if I have to run to the store, a doctor’s appointment with the boys or on a last minute lunch date with Clint. What are some of your healthy habits that make a difference in your day? That is one of my New Years resolutions too and I absolutely love Vital proteins! Great stuff! Love your workout attire. I have never tried adding protein and collagen but may have to look into it! Ditching the scale is so important as you get stronger and build muscle. Love this post! I definitely need to be better about vitamins. I’m the worst at keeping up with them! Definitely trying to cut down on the caffeine in the new year. These are great tips! I have been slowly trying to keep up with being healthier in 2017. I think one of my downfalls has been going cold turkey and not necessarily taking baby steps. Definitely will be implementing some of the habits you listed. These are such great goals for the year! I really need to try those collagen thing! 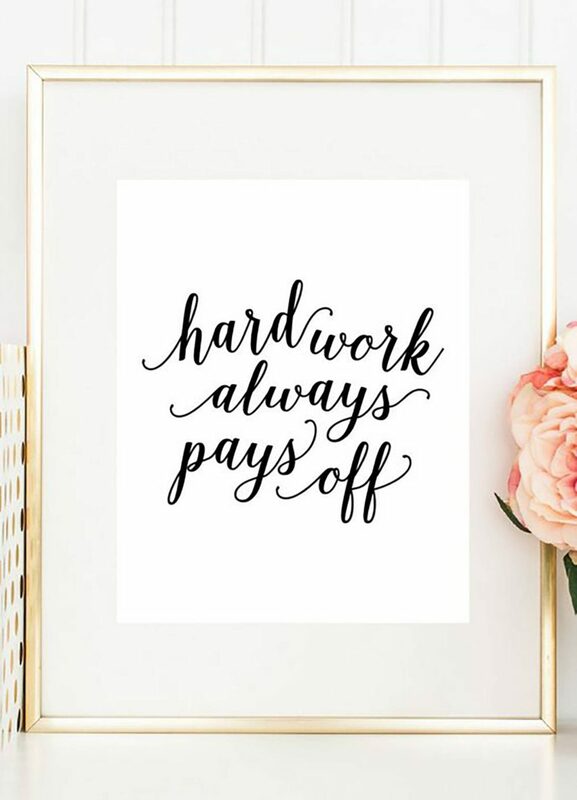 I’ve been scheduling my workouts as well and it has been SUCH a great way to stay on track! Signing up for classes really helps. I’ve been wanting to try collagen! Everyone says it’s just amazing!